The next generation of Yamaha V6 four strokes. They’re quicker, stronger, smarter and lighter -with class-leading 4.2L displacement that outperforms comparable four strokes on time-to-plane, cruise speed, weight -even fuel economy. From the top of the cowling to the tip of the propshaft, every ounce of weight savings has been realized for maximum performance without sacrificing durability. There’s even an advanced polymer composite lower engine pan that lowers weight and increases corrosion resistance. Yamaha’s Variable Camshaft Timing system advances and retards the angle of the intake camshaft to dramatically increase power and throttle response in the low- and mid-rpm ranges. This feature helps Yamaha’s 4.2-litre big-bore V6 Offshore Outboard to deliver awesome holeshot and mid-range acceleration you have to feel to believe. By using a highly advanced, thermally applied plasma fusion process on the cylinder walls, Yamaha’s new line of V6 Offshore outboards have no conventional steel cylinder sleeves, yet the cylinder walls are 60% harder than steel. That means larger cylinder bores for increased displacement, resulting in more power and torque, without increasing outer cylinder dimensions. It also results in dramatically lighter weight, better cooling, and “micro-textured” cylinder walls that help decrease friction loss, and further increase performance and enhance reliability. From the top of the cowling to the tip of the prop shaft, every ounce of weight savings has been realized for maximum performance without sacrificing durability. There’s even a new advanced polymer composite lower engine pan that lowers weight and increases corrosion resistance. Yamaha’s Variable Camshaft Timing system advances and retards the angle of the intake camshaft to dramatically increase power and throttle response in the low- and mid-rpm ranges. This feature helps Yamaha’s new 4.2-litre big-bore V-6 Offshore Outboard to deliver awesome hole shot and mid-range acceleration you have to feel to believe. Yamaha’s V6 Offshore outboard has up to 17% better long-range fuel economy at 3,500 rpm than other 4-stroke outboards. All air entering the engine block of each Yamaha V6 Offshore outboard is routed through a single 75mm electronically controlled throttle valve. Working in concert with the Precision Multi-Point Fuel Injection System, together they help ensure the precise amount of air and fuel necessary for optimum power and fuel efficiency. Yamaha V6 Offshore 4.2 Liter is up to 19% faster at cruise rpm than other competitive four-stroke outboards. Cruise rpm is where most offshore outboards are typically operated, meaning you get there faster, using less fuel, than competitive models. 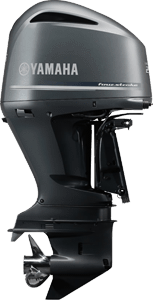 Yamaha’s V6 Offshore outboards have higher total alternator power than other V6 four-stroke outboards. That kind of charging power is vital to help operate today’s wide array of on-board electronic devices. Models are available with either digital electronic control or mechanical control. Models with digital electronic control are compatible with Yamaha Command Link Plus®, rigging system and hardware for the utmost in control. All F225 models can be rigged to external NMEA 2000® compatible displays or analog gauges using a gateway device. Both versions of the outboard are Y-COP® compatible. Yamaha’s patented new Shift Dampener System (SDS) greatly reduces noise commonly associated with shifting gears. Using a special new design and components, much of the resulting force is absorbed, resulting in far quieter and smooth operation. Initially available on Saltwater Series II – SDS propellers, which are ideal for these outboards and their typical applications. All Yamaha V-6 Offshore Outboards feature a proven cowling drain system, to easily and efficiently drain away any water that enters the cowling during normal engine operation. Incoming air is routed through a labyrinth of passages that trap and drain water before it enters the engine’s intake, for maximum reliability. 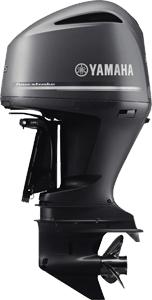 Yamaha V-6 Offshore Outboards feature an exhaust pressure reduction system, which not only helps keep the propeller hub cooled from hot exhaust gases, it also helps provide more power by helping to force those gases out of the engine. Yamaha V6 Offshore models come standard with dual pairs of water inlets, for increased cooling efficiency. Located on the front and both sides of the lower unit, each pair of pick-ups operate independently of each other to provide proper water flow in a wide variety of applications and conditions. 4.2 litres of class-leading displacement teams with individual intake and exhaust camshafts to provide more precise valve timing control with fewer moving parts than conventional rocker arm systems for increased reliability. This superior design also allows for use of 4 valves per cylinder which exchange intake and exhaust gases more efficiently for responsive power and increased fuel economy. Controlled by a Command Link Plus digital display or a Command Link tachometer, the operator can adjust the engine’s trolling speed from 600 ~ 1000 rpm, in 50-rpm increments. This helps provide precise and consistent trolling speeds in a wide array of conditions. 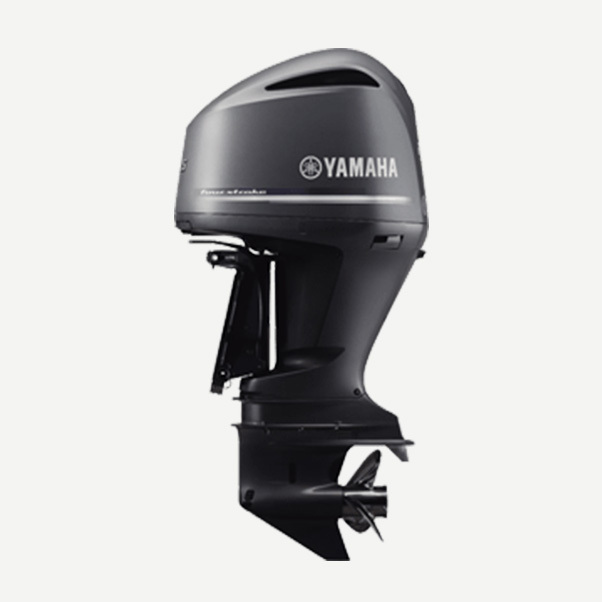 Yamaha V-6 Offshore Outboards utilize a new version of our Long Span Mounting System, which employs a specially formulated rubber compound attached to newly-designed engine mounts. Placed as far apart vertically and horizontally as practically possible, they provide necessary strength while minimizing vibration. Engine exhaust is routed through a maze before exiting above the waterline through the idle exhaust relief outlet, for unbelieveably smooth and quiet operation. Six individual sensors constantly provide vital atmospheric and engine conditions to the Engine Control Module (ECM), which instantly makes the precise adjustments for optimum performance and efficiency.